Houston was yet again included among this year&apos;s James Beard Award finalists--the Oscars of the nation&apos;s dining industry. Justin Yu&apos;s Oxheart on the north end of Downtown and Hugo Ortega of Caracol are finalists for Best Chef in the Southwest. We recently sat down with Chef Hugo Ortega to talk tortillas. 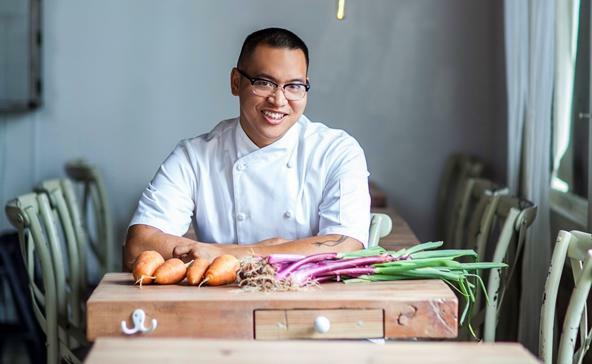 This week Oxheart Chef Justin Yu sits down with Visit Houston to talk about his nomination and more. Yu&apos;s restaurant, which he opened with wife Karen Man in 2012, and has gained national acclaim for its vegetable-centric tasting menus turned four this week. He spoke to us about the nomination, running his own restaurant and his favorite places to eat in Houston. This is the third time you’ve been a finalist for a James Beard award. How do you feel about this recognition? I think it’s great. It’s great for the staff. It’s great for the city. I grew up being taught to be very humble about the rewards and awards that you receive so I kinda definitely take it with a grain of salt. We serve a very small amount of people so it’s really great that this amount of people would give us the chance to be up for an award like this, but it’s also hard not to be very proud of the work we’ve done. How would you describe these four years running your own restaurant? It’s definitely been a lot of ups and downs. We started off not being very busy to being too busy. So learning a lot about ourselves in a lot of different ways. I think I came into my own as far as what I wanted to do and be as a chef and how I wanted to run my kitchen. And what I wanted for not only the food that we put out to our guests and how I present it but also what lifestyles we live. I hope that the lifestyle that I’ve been giving our cooks and our front of the house staff is hopefully a little bit less stressful and more relaxed than when I came up and hopefully when they have restaurants of their own, they’ll do the same thing for their staff, and just they’ll find better ways to do things and make delicious, better food. Oxheart was a very unique concept in Houston when it opened. Do you feel like diners are more open to it now? They’ve just become less averse to the idea of what we are. We’re like the weird quirky kid that dressed funny in high school and then when you got to know them a little bit better, you realize that they weren’t all that weird. They just had their own personality and they’re very friendly and very welcoming just like everybody else. I think a lot people just gave us a shot and just wanted to see what we were about and they saw we weren’t that far out there anyway. We were just doing something a little bit different than they were used to. I think the diners have always been very open with wanting to accept new things. I think Houstonians are some of the most well-traveled people and the most cultured people and I think the want to try something new and different has always been there. There have just never been a whole bunch of options before that. It’s such a small restaurant that I knew I would never make that much money off it but that was never really the idea. The idea was really to open people’s eyes and hopefully bridge a gap between the type of dining that I’m very excited about and very passionate about and something that they had known nothing about. 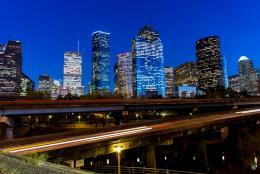 Do you feel that Houston’s dining scene is getting more recognition? Other cities mostly get a lot more national recognition. I think that we’ve always had great food, especially in the middle and what people would consider ethnic food. Houston has the best ethnic food and the most diverse ethnic food, only really except for LA, as far as quality. Maybe it doesn’t have as much quantity as say New York does. I think Houston’s been a big thing lately just because there has been such a preconceived notion of what Houston dining is like or Texas dining is like. They’re just very surprised to see something that they see in their own town, they generally consider to be a little bit more cultured in their own town. There’s a different point of view being pointed out here in Houston that’s definitely not just me and it’s definitely not just been the last few years. Places like Textile and Quattro, and especially even, one of my favorite restaurants for a long time was Da Marco, and their specific style was a very specific region of Italy, which is an extremely progressive thing to do because most people are just used to being able to get red-sauce Italian. I think we’re just getting more notice because a lot of it happened at once, like with Underbelly, Pass & Provisions, and Oxheart and Triniti and Uchi all opening within a good six months of each other. They’re like, oh, what’s going on here? 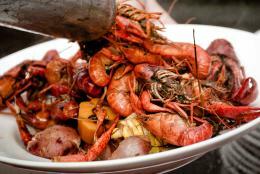 What are your Houston can’t miss restaurants? Definitely Himalaya is my absolute favorite restaurant in town. It’s a really great representation of what Pakistani food is like and it’s a different part of town. It’s just really good food and a really fun atmosphere. You feel like you’re in a hole in the wall but the food that comes out is just so amazing. There so many spices and textures that you don’t normally get in the loop to be honest with you. I love Hugo’s. I actually went and ate at Hugo’s with my friends after we learned that we were in the [Beard] finals. It’s like redefining the notion of what Mexican food is and can be served in Houston. You don’t have to have the tacos and tortas all the time. You can have lechon and you can serve chapulines and you can serve a really great pulpo dish and made small hand-made tortillas. It doesn’t feel out of place. It feels very Houston, very Texas. For Vietnamese food, I guess I eat pho the most and Pho Bihn of all the different places is my favorite. It’s a great representation of the Vietnamese culture that’s in town. There’s a place called Shri Balaji Balavan, which I really love. It’s vegetarian, more southern Indian, I believe, where they have a whole bunch of dosas. You look at the menu and there are no English descriptions underneath so it’s actually really fun. I had absolutely no idea what I was getting myself into. When you order you look at the menu and you have no idea what these things mean, so you start pointing at things that sound interesting to you and you get what you get and you’re not quite sure how to eat it but it’s all delicious. There’s also a Korean restaurant called Bon Ga. That’s my favorite Korean restaurant in town. They actually don’t specialize in Korean barbecue, which is actually what most people are used to. They do the cooked dishes. Moving forward, what are your plans? I think I’m maybe just a little less career focused at this point in my life. I’d like to figure out how to set up restaurants where [although] I do want to be there all the time but I shouldn’t necessarily be there all the time. A major thing, too, is that I have all these talented people that I get to work with and nowhere to put them after they become better than a cook should be. I used to say that my focus is directly in Oxheart, and it still is. I work service most of the time five out of five nights a week. As long as it still says Oxheart on the door, it’ll be our baby and the thing that I’m focused on the most. But I think a major thing is developing good cooks and developing good business people, giving people a skill set where they can go out and do something on their own, whether it’s in Houston or elsewhere. Or at least maybe go travel and be successful in bigger, better, more fancy restaurants than ours. 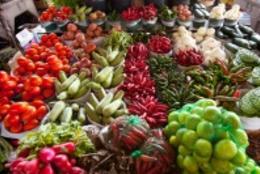 Eventually, which we’re not doing right now, I’d love to be able to feed more people high-quality products and doing so with food that’s less expensive. While I would say that about $11 a course isn’t that expensive, the whole $75 forced menu does sound expensive, even though I would say it’s a pretty good deal. I would like to just be able to make food that a wider swath of people could enjoy.